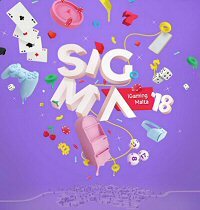 SiGMA 2018 expands to 3 days following Malta’s signature online gambling awards ceremony. Next week, the fifth annual Summit of iGaming Malta (SiGMA 2018) kicks off within the spacious, natural grandstand of Ta’ Qali, in Attard, Malta. The conference will be bigger and better than any previous year, spanning more days, and welcoming more speakers, sponsors, exhibitors, affiliates and attendees than ever before. As in previous years, the event is preceded by the Malta Gaming Awards (MGAs)—and exclusive ceremony that celebrates the island’s most industrious members of the online gambling sector. The MGAs will take place on the evening of November 27, 2018, followed by the 3-day SiGMA conference, running from November 28-30. Below, you’ll learn a bit about this year’s iGaming awards categories, the expansion of the summit, and highlights of this year’s event. The MGAs are among the global industry’s most significant accolades, mostly due to their nature. Malta is one of the foremost iGaming hubs in the world. To be nominated, the person or business must have a strong tie to Malta. Tickets are required to attend, but 100% of the proceeds go to charity. The ceremony, as well as the conference to follow, will take place at the Malta Fairs & Convention Centre (MFCC). In previous years, SiGMA has been a 2-day event. Each year, however, the buzz surrounding the summit gets louder; the demand more palpable. So, for the 2018 edition, they’ve tacked an extra day onto the schedule and moved the venue to the capacious MFCC, making room for 400 sponsors and exhibitors to set up booths. A record 12,500 attendees and 2,500 affiliates are expected to traverse the convention floors from Nov 28-30. In between viewing exhibitions, all will have access to a flurry of conferences and panel discussions, covering relative topics like regulation, payments, decentralized gaming (aka D-Gaming), blockchain technology, eSports and more. Will Microgaming Roulette Debut Steal the Show? If you’ve ever attended any major iGaming expo before, you’ve surely experienced the aura of awe and inspiration that always seems to surround Micogaming. This year’s SiGMA will see Microgaming taking up the floor space at Stand B156, and it’s sure to be a highlight of the 3-day event. 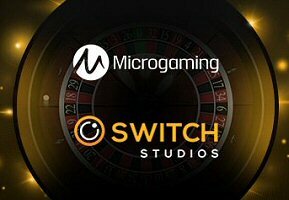 The industry’s oldest and most reputable developer of digital gambling content, and longtime Malta iGaming licensee, Microgaming is set to debut its newest mobile table games alongside their latest collaborative partner, Switch Studios. Exclusively for the Microgaming platform, the UK-based digital gaming lab has built a visually stunning, wholly immersive and mobile-centric roulette game that’s said to mimic the real thing in a more lifelike way then any before it. It’s simply called Roulette, and it’s the first new online casino table game to hit the Microgaming platform since 2015; the second since 2012. The company is so confident in the capabilities of Switch Studios, they’re contracting the independent games lab to create an entire line of new, 3D table games. The first won’t debut until the day after the Malta online gambling awards, so I don’t expect any trophies to go their way for this one. However, I’m sure Switch Studios is hoping to turn the heads of iGaming awards committees elsewhere—particularly in London, where the 2019 ICE Totally Gaming expo will take place next February.